Here's a quick guide to create a macOS Mojave 10.14 Public Beta Installation USB using Clover. Please note, this guide is not universal, and may not work for all systems. 3. Run installer. The Mac App Store will open. The Application Install macOS Mojave Beta will appear in /Applications. 12. Type the following, enter password and hit enter. This command completely erases the USB, then creates native installer media from the Install Mojave Beta Application. Upon completion, the USB will be renamed Install macOS Mojave Beta. 13. Download the most recent standalone Clover installer from the download section. 14. Install UEFI or Legacy Clover version using the USB (Install macOS Mojave Beta) as the target. Your Clover Installation USB is now finished. I have a 1050ti but it is very laggy. If you'll manage to get your GPU work let us know! what driver you used, native or web driver? I tried with last web drivers (using nvidia-update.sh), set off invidia inject, nv_disable and turned on NvidiaWeb. Also using last Lilu, NvidiaGraphicFixUp and Shiki. Edit, woops, this isn't the help section. I'll post there. "13. 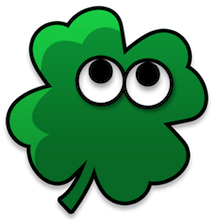 Download the most recent standalone Clover installer from the download section." There's NVRAM and non-NVRAM - which? Thanks.